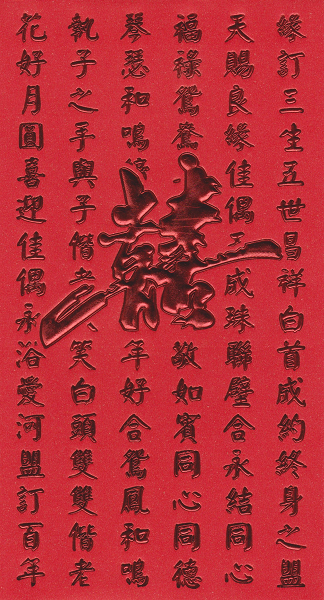 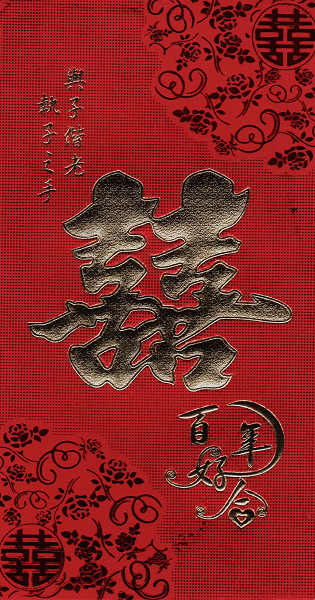 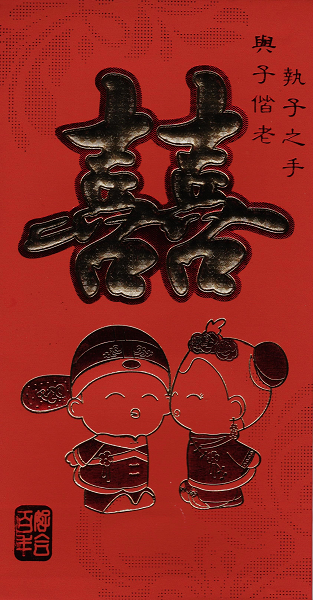 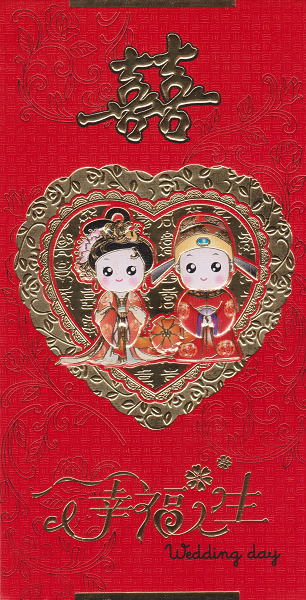 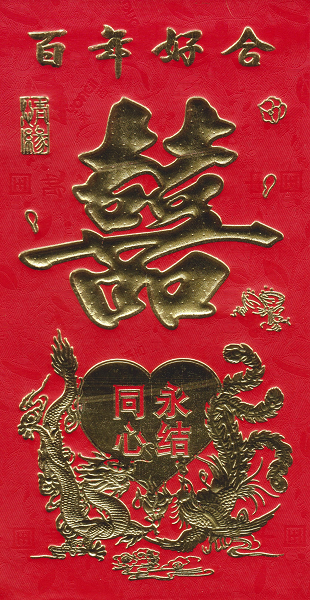 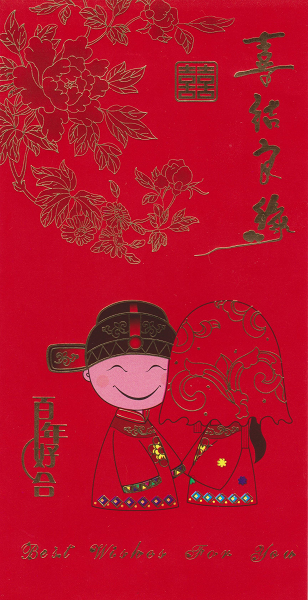 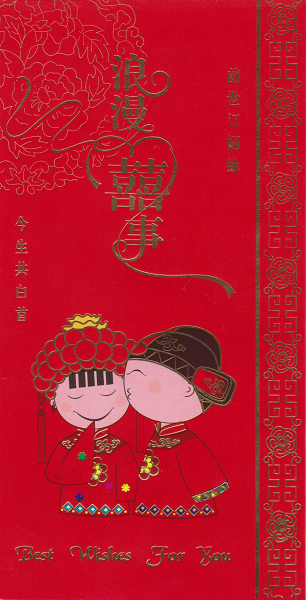 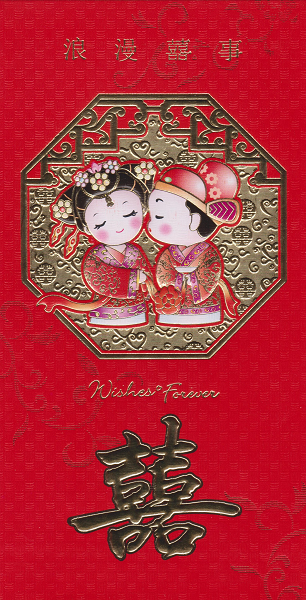 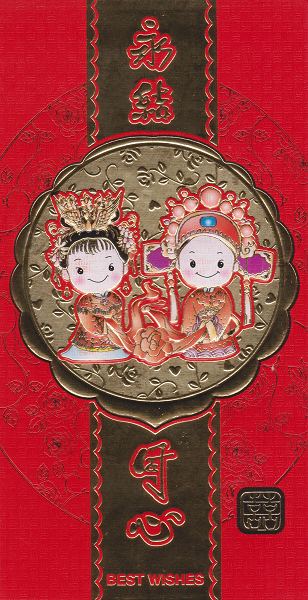 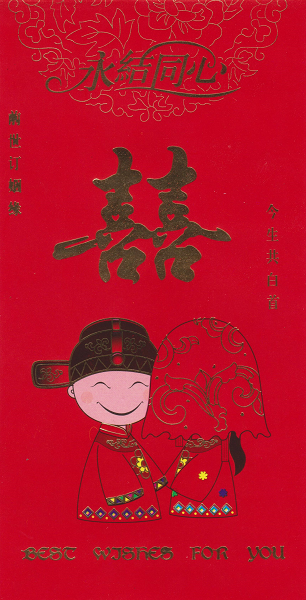 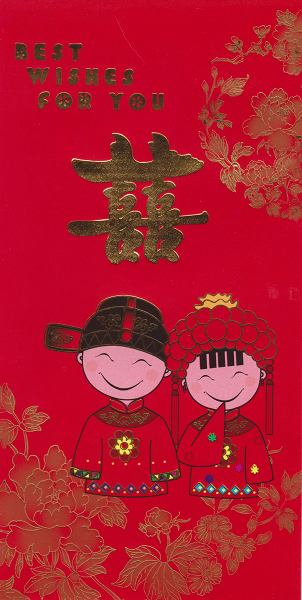 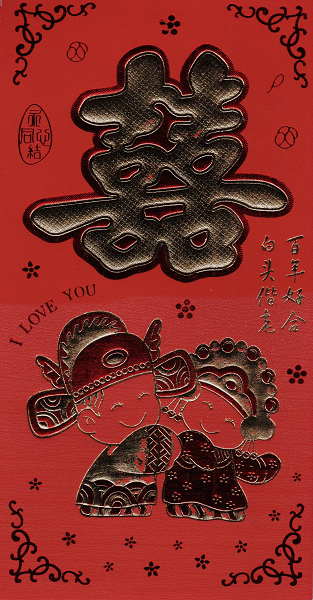 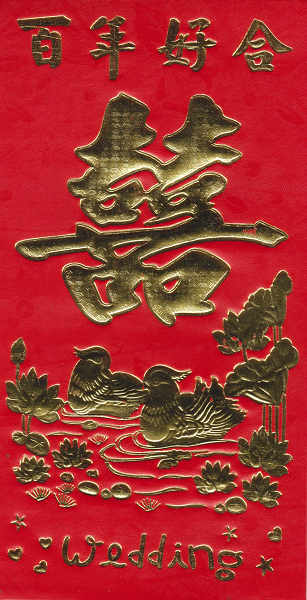 Red Chinese wedding envelope with best wishes, good fortune symbols, and a bride and groom dressed in traditional wedding attire. 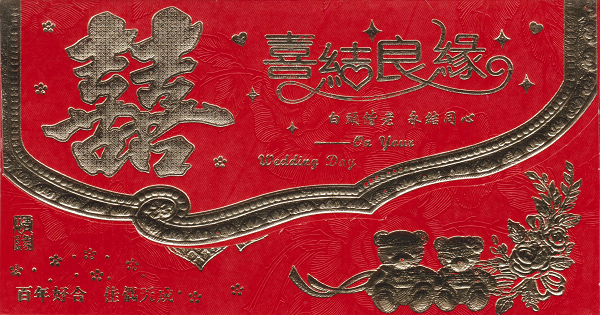 The envelope is decorated with wedding greetings and "best wishes" in English. 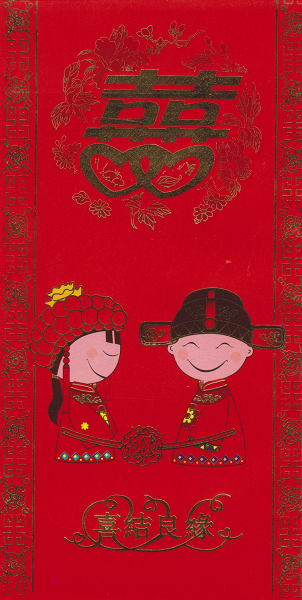 The bridal couple are standing in front of a gold foil panel with oriental floral patterns. 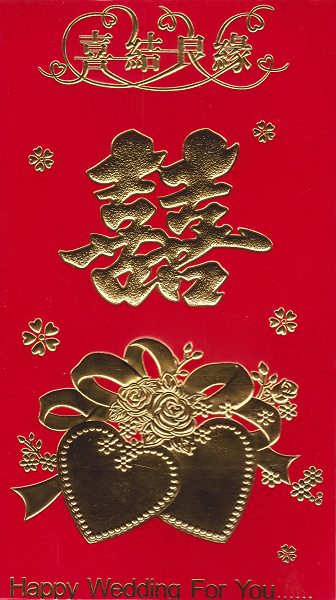 Made using high quality glossy red card, and decorated with colourful embossed foil.